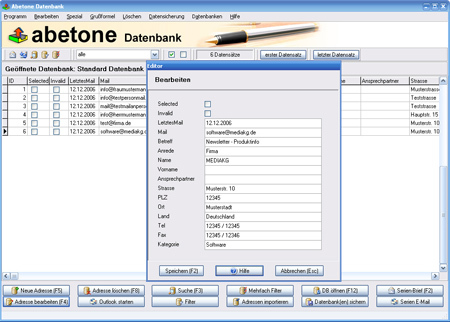 Personal Knowbase Reader is a viewer for data files created by Personal Knowbase freeform information management software. Share your Knowbase content with friends or co-workers, even those who don't have a copy of Personal Knowbase. PK Reader gives associates read-only access to files, so they can view, search, export, and print Knowbase articles, while preventing accidental changes to data. Personal Knowbase is a flexible note manager that handles a large number of notes. This information organizer is like a virtual index card system, except that each card has no space limitations, and you can access all related cards together by tagging them with keywords. PK Reader reads files created by Personal Knowbase version 2 or 3. Multiple PK Reader users can read Knowbase files simultaneously on a network. Install on a CD for easy documentation distribution. Runs on a portable USB drive. Free for personal use. Tabbed Database Browsing - Organize your SQL queries Export DATA from SQL to Excel. Spool SQL output to Excel, HTML, CSV. Chain Multiple SQL Queries in one view. Drill from one query to another,Feed output of one SQL as input to another SQL query. XLReportGen is a report generator for Microsoft Excel that outputs reports in Microsoft Excel spreadsheet format. If you know how to use Microsoft Excel and write SQL statements, you can use XLReportGen to create all kinds of reports as you need. This site does not contain serial number, crack, keygen Personal Knowbase Reader serial number : serial number is the simplest type of crack. A serial number(cdkey,product key,etc) is register the program as you may already know. a crack or keygen may contain harmful software. If you cannot find the exact version you want, just give it a try. for more information read .nfo/.txt/.diz file include in zipped file.